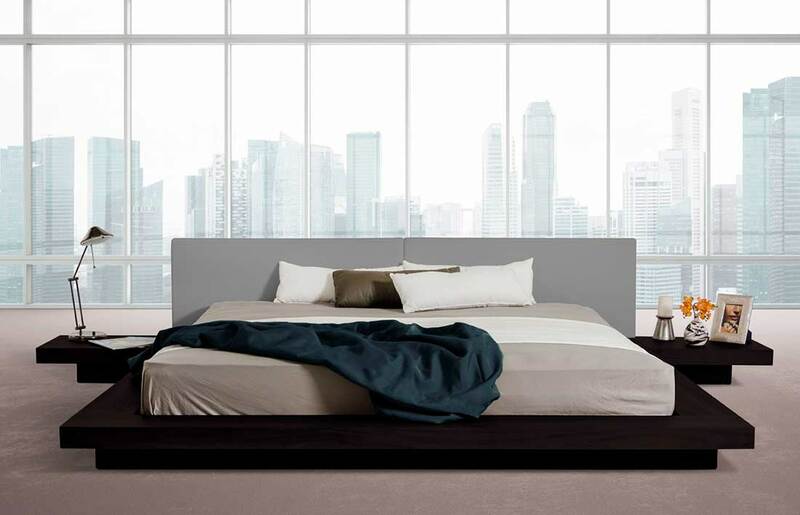 Grey Leatherette Headboard, Nightstands Included. Eastern king is also available. Available in Queen, Eastern King . Two built in nightstands, Grey Eco leather headboard. Low Profile Bed, High Gloss Lacquer Coating.